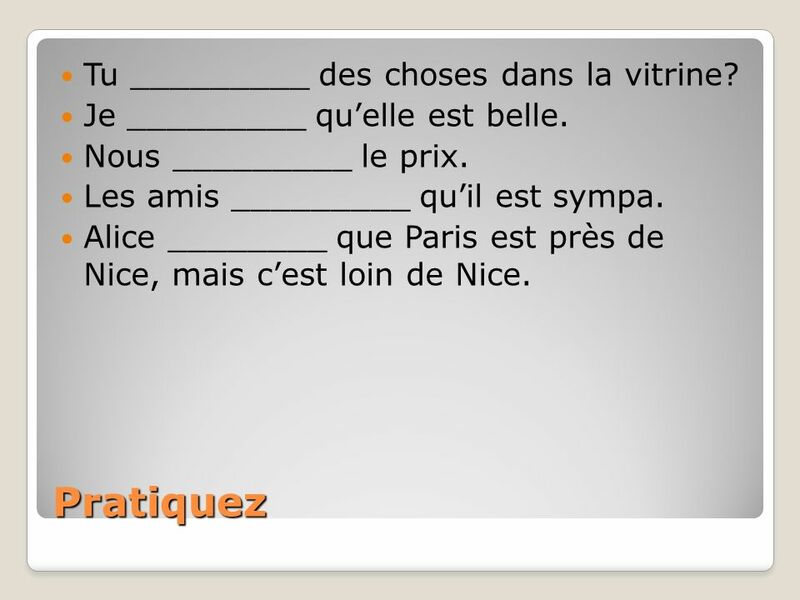 5 Pratiquez Tu _________ des choses dans la vitrine? 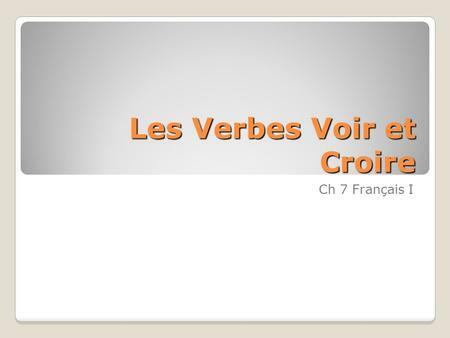 Télécharger ppt "Les Verbes Voir et Croire"
ALLER HOW DO WE CONJUGATE THE VERB ALLER? Click on the fleur de lys to advance to next slide. Vocabulaire Une graine de café = A coffee bean Cest vrai = Thats true. 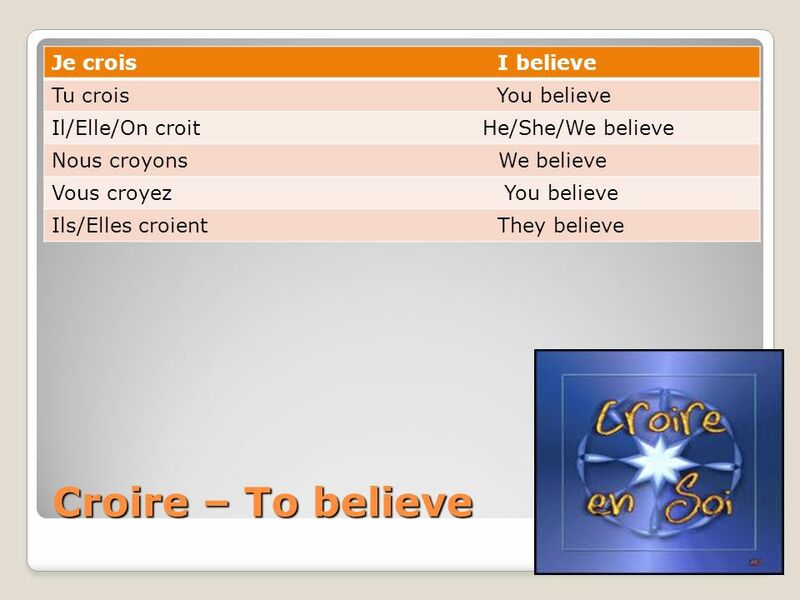 Aussi = Too / Also Parle à / de = Talk to / about Ses amis = His friends. Savoir and connaître both mean to know. 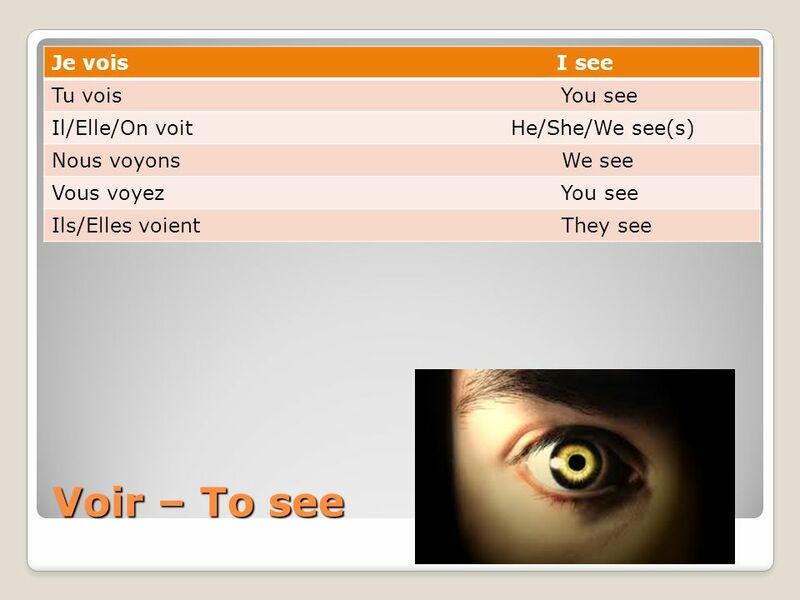 They are both irregular verbs. Je ne sais pas! 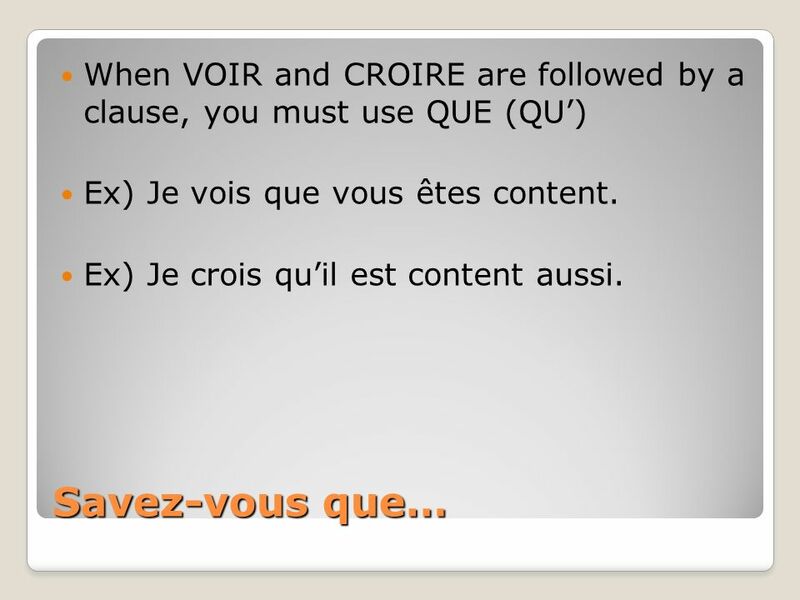 Prendre and verbs like it. Prendre has three meanings: to take, to eat and to drink. As you have been told prendre is irregular. The following is its.